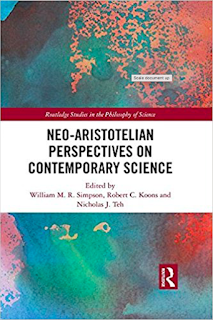 Routledge has released a new anthology Neo-Aristotelian Perspectives on Contemporary Science, edited by William M. R. Simpson, Robert C. Koons, and Nicholas J. Teh. This book has essays by Xavi Lanao, Edward Feser, Nicholas Teh, Robert Koons, Alexander Pruss, William Simpson, Tuomas Tahko, Christopher Austin, Anna Marmodoro, David Oderberg, Janice Chik, William Jaworski, and Daniel De Haan, and a foreword by John Haldane. 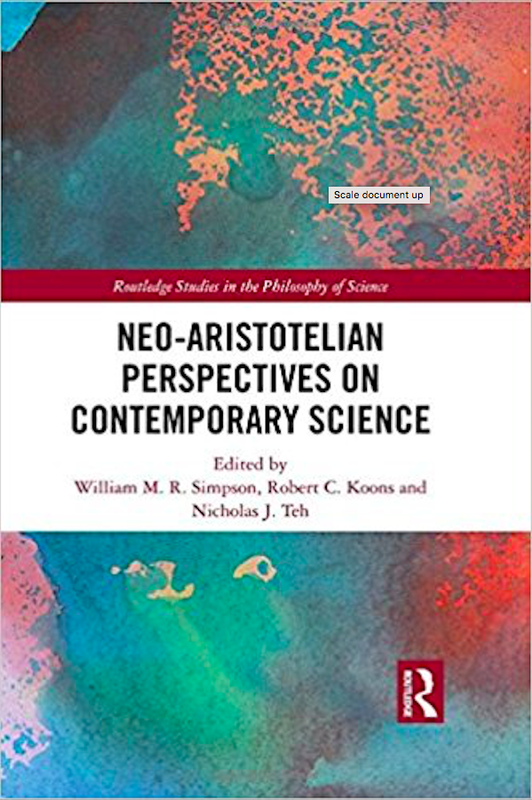 "Neo-Aristotelian Perspectives on Contemporary Science aims to fill this gap in the literature by bringing together essays on the relationship between Aristotelianism and science that cut across interdisciplinary boundaries. 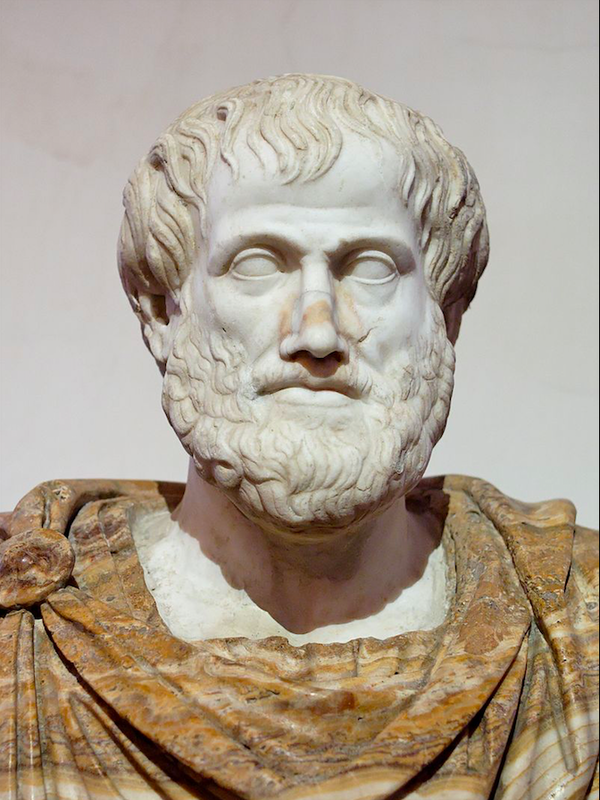 The chapters in this volume are divided into two main sections covering the philosophy of physics and the philosophy of the life sciences. Featuring original contributions from distinguished and early-career scholars, this book will be of interest to specialists in analytical metaphysics and the philosophy of science."